One of the biggest questions we get is how to get affordable housing on raw property. 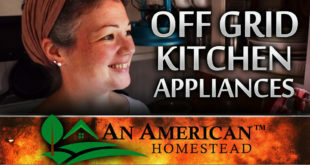 So you want to live off grid and build your own homestead? But you want to build your house yourself and do it right. What about living in a temporary shelter in the mean time? How about an affordable temporary housing option that will allow you to get on the land right away? 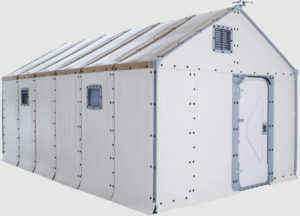 Introducing the IKEA $1100 “Better Shelter” pop up house that is designed to last for at least 3 years without issues. These “Better Shelters” were originally designed for the UN and refugees in large camps. Until just recently, these refugee camps were stocked with canvas tents for families but they only lasted at best 6 months before they needed replacing or serious repair. Not only that but these flimsy canvas tents would not provide any security among these large groups and violent crime was at many times an issue. These prefab tiny houses are hard walled and provided the added security that people were wanting. Better yet, each tiny home comes with 4 solar panels that provides the home with enough power for 4 hours of lighting at night and use of small appliances and USB power options during the day. That is a huge benefit that nobody on the market has offered until now. This IKEA prefab home will allow you to set up in 3 hours with simple tools that are included with the packaging. You can place doors and windows where you want them in the construction because everything about the house is modular. You can even connect more than one to another to make an even larger living space. Each one of these Better Shelters are built with a rigid steel frame with fire retardant walls and ceiling pieces that match up to US and European guidelines. This housing option has been very popular for emergency agencies and is developed by IKEA who already for years has been producing affordable prefab modular houses for the retail market. There are already thousands of people living in these $1100 housing units purchased by government agencies around the world. The structure starts with a steel frame that comes in a big bag. The pipe, connectors and wires all come together to give the home a sturdy frame and solid skeleton to build on. The panels are thin but firm and have a small layer of insulation. The panels fit into the steel frame easily with no special tools other than what comes with the home. Additionally the prefab home comes with a shade cloth that helps cool the home during the day by keep the sun off of the roof. It reflects the suns rays and helps to retain the heat coming from the home at night. These are really affordable tiny home options for homesteaders getting started. Many homesteaders really want to buy raw land and build at their own pace and have a reliable and affordable living option during this moving and building process. This is exactly how we got started at An American Homestead. We chose to purhcase a couple of pull behind trailers to live in during our first year of living off grid. However, had we had this option, this would have been something much more affordable and attractive to us while we carved out new land. Likewise, this small housing option from IKEA is bound to hit their local retail stores at some point in the future. Up until now, they have only been available for large quanitity purchases from government agencies. But it’s only a matter of time before these are available at IKEA locations nationwide for interested customers in the public. 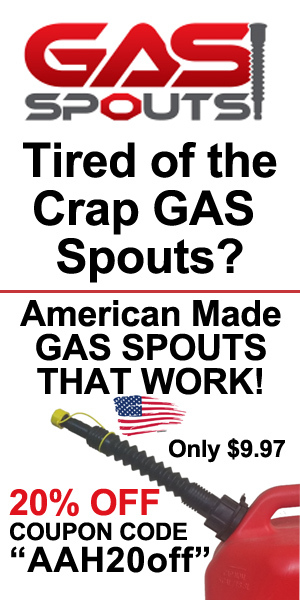 After all, the are built easily with no special skills required and is perfect for the US retail market. Plus with the price tag of $1100, they blow away the storage buildings of similar size offered by Home Depot and Lowes. These prefab tiny homes come in a set of boxes that can easily fit in the back of an American pickup. This could soon be our number 1 recommended option for those wanting to move off grid and begin their homesteading adventure! Next The Most AMAZING Garden Veggie EVER! Looks like a great option- I wonder how well something like this would suit a colder climate? you can only get these dwellings if you are a registered multinational charity that is partnered with the UNHCR. I have already enquired with IKEA by email. The reason if everybody started BY THESE CHEAP HOUSES IT WOULD SOON PUT THE BANKS OUT OF BUSINESS. Doesn’t look like it’s available to the general public, looks like it’s only for the refugees. If anyone else knows where you can buy this (without being an organization helping the refugees) I would love to know! you can’t yet. did you read the article? If you can afford $1100×96 for a minimum order. I lived in a tent for a year in Iraq, and I could absolutely see this as a good option for sustainable living! If we would have had the tools and materials we could have made our own “Rooms” in those tents for some privacy… Someone could easily build a kitchen and bathroom in one of those buildings. Wish they were available in the USA. When will these tiny homes be available to the public? It would be ideal for me for my beading. Does anyone know of anything out there that is remotely comparible to this in price, materials and assembly? Ikea really needs to have these available for the public here in USA…I need this because of wanting to live in country and it would be an awesome temporary, portable solution. And affordable compared to prefab cabins($5-20 thousand dollars). And RV/Trailers are expensive also…..IKEA—-Please make these available SOON!! What do you mean by “2 oc”? This sounds like an interesting project! Check your RV dealers for wrecked or damaged RVs. You can find some cheap ones. You may not be able to tow them cross country, but lowboy it to your site and it may be living better than a canvas tent. 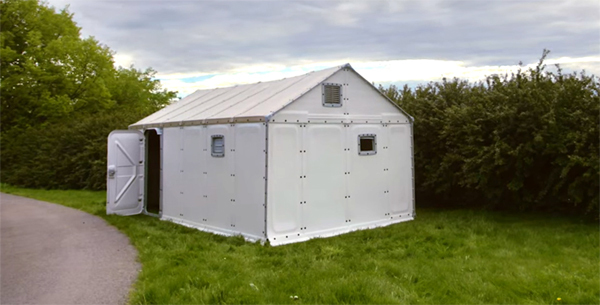 Even a metal conex can be delivered and converted into a living quarter. Solar and wind DIY plans can be used too. hello all! check out wayfair 14 ft. 8 in. W x 7 ft. 8 in. D Plastic Storage Shed . approx. $1,600 . They have metal ones as well. It looks like a little house!! would love to go glamping in one of these!! yes, it is not as portable or quick to put up like the ikea. maybe if you own your property, put it up and use it as storage later. they have them much cheaper available as well or at least a good place to start doing a search! Is this available to the public? Does it come in colors? i am interested in at least finding out more about these structures. i wonder about their heat retention capacity for winter. might make a good deer camp. Count me in, I want one. Would love to try this. Would do well for my needs.